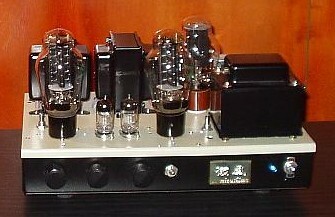 2A3/45 compatible single ended Amplifier. 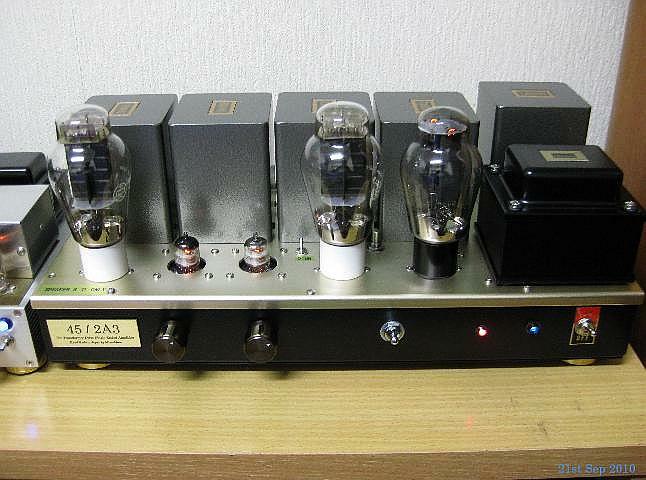 Driver tubes are WE417A or 5842S. 220V use for Indonecia. one input for un-balanced.6's Binding Post. 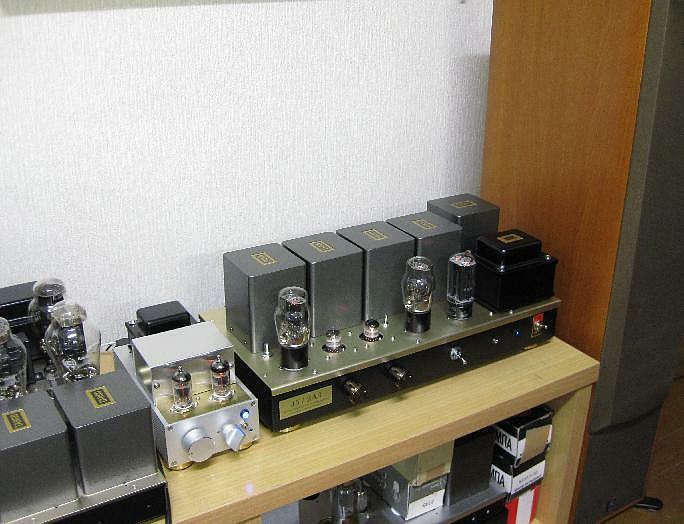 power supply use Black Gate condensors and MUSE Nichikon Japan. wiring is OFC cord and some parts use siver rith cord. 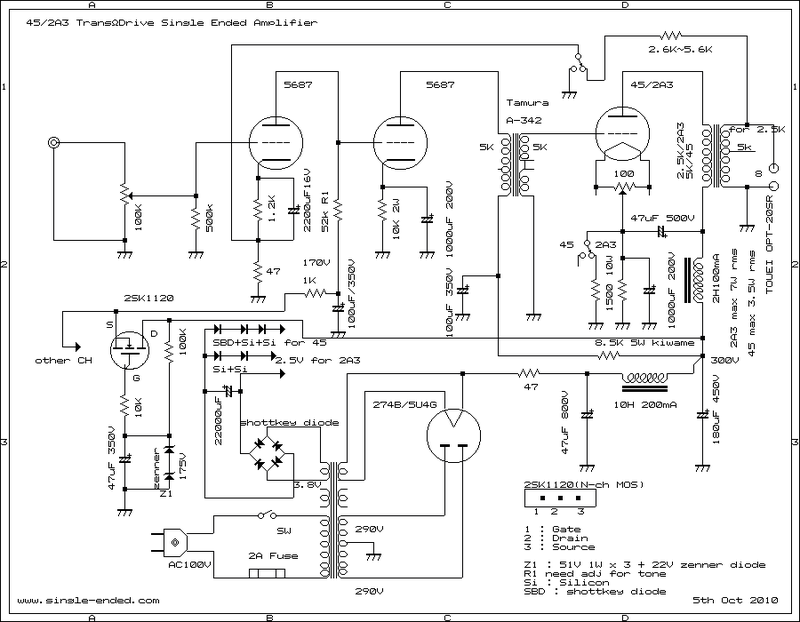 Shizuki 47uF 800V Film Capacitor and signal line of resistanse are AMRG. new type 2A3 can be use.off course you can use 245 family too. S/N is very good and very low noise. Shotkey diode produce miner noise than silicon diode bridge. I could not hear any noise from speaker.this time I got 4.1 V DC from 3.8V AC. 3.0 V DC from 2.5V AC 50Hz and 4.1 V DC from 3.8 V AC wound of Transformer. getting 2.5V 1.5A DC. 2 of silicon diode getting 2.5V 2.5A DC. Speaker.I say , can not hear any noise from speaker. 5842/417A plate current is 17mA and +B 185V at non NFB position. 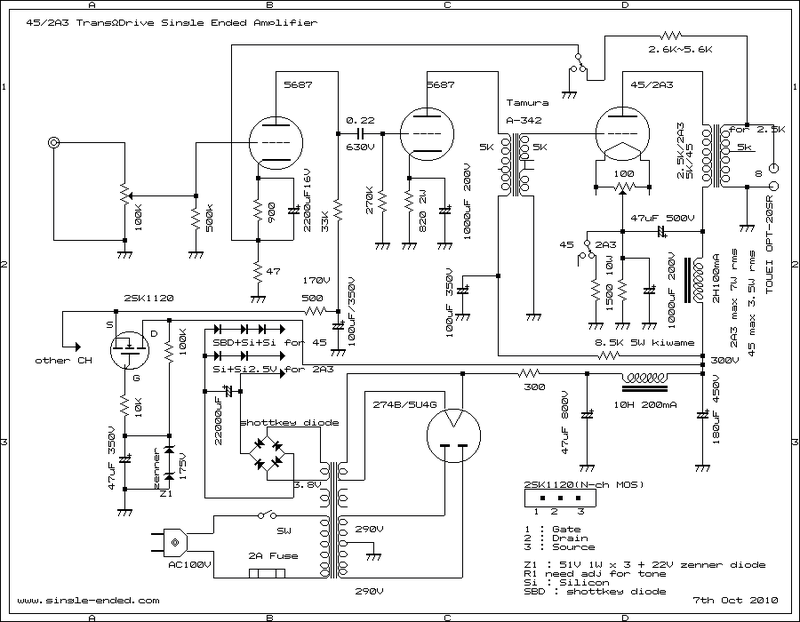 Sound is very clear tight low and mid and high are very clear when using with WE417A only. 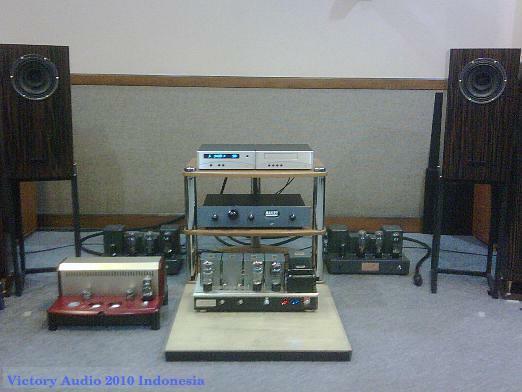 This Amplifier orderd by Victory Audio ,Jakarta Indonecia. 13th Aug 2010. 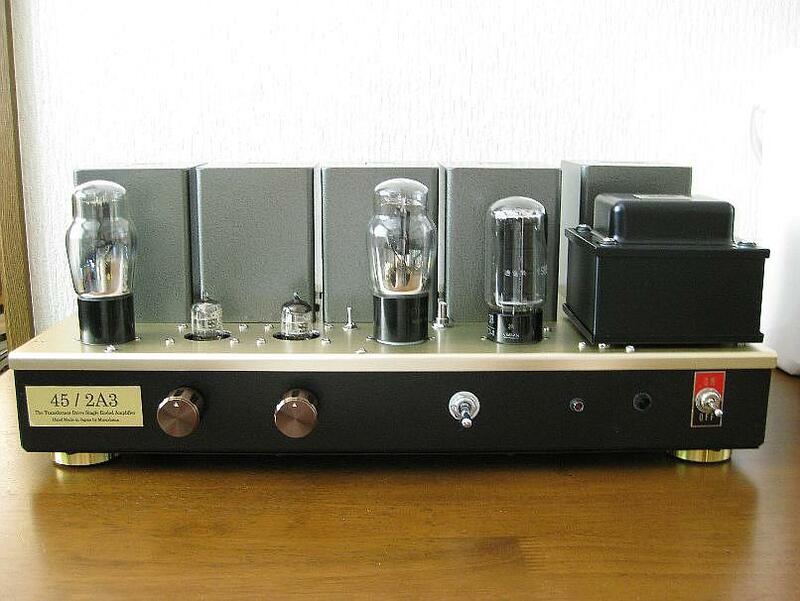 **このアンプはインドネシアにある Victory Audio から依頼されて製作したものです。13rd Aug 2010.
high. 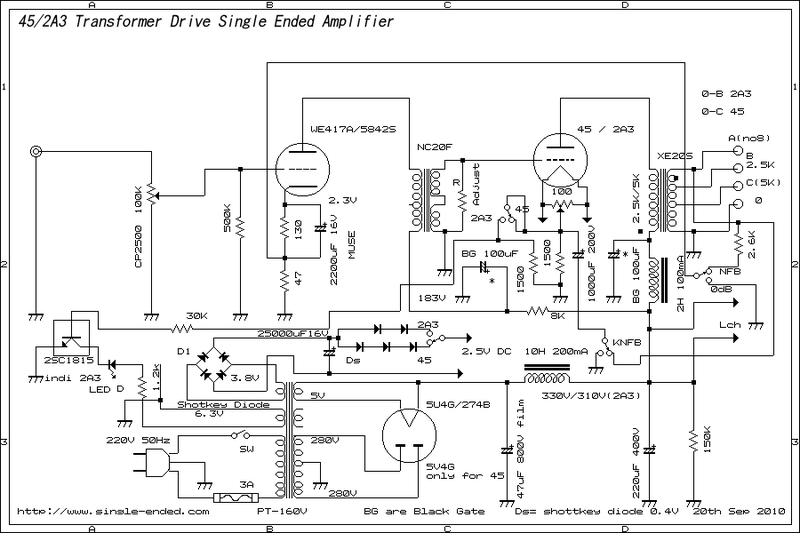 WE417A one tube drive is not enough drive mid and high. this is better. even can drive enough 300B single ended.